Pulsar offers a selection of truly affordable single protein, grain free formulas with an emphasis on ‘pulses’ such as red lentils and peas which are highly digestible, low glycemic and antioxidant rich carbohydrates. 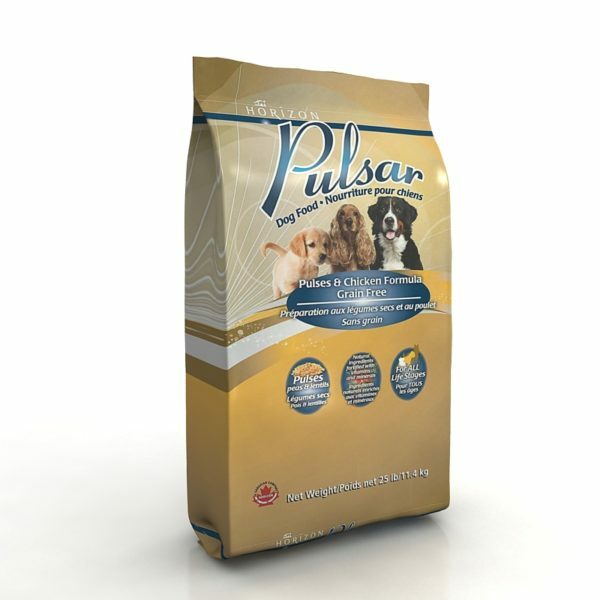 Grain free formulas have been a significant and positive movement in pet foods over the last decade. Unfortunately, ‘grain free’ is now commonly used as a marketing ploy to portray ‘better quality’ and therefore higher prices. Don’t be fooled. The nutritional and energy benefits of pulses (legumes) are unquestioned. High dietary fiber, exceptionally low glycemic indices and packed with antioxidants. This is what grain free aspires to be. We use red lentils and peas which we source right where we operate – direct from growers. No low cost potato or tapioca sourced through global agents. That’s for pet foods looking to claim ‘grain free’ but using carbohydrate alternatives that don’t measure up and simply don’t justify the price tag. The fact we self manufacture in Saskatchewan, Canada, source directly from growers locally and dismiss the notion of expensive marketing campaigns to obscure the quality standards of our foods like other foods do, we can ‘pay forward’ a superior grain free food at an unmatched price. We are so bold to say, we think very few food companies can deliver a food like Pulsar at a such a low price point like we can. We believe in accountability, we believe in quality and process control like direct sourcing and self manufacturing and most importantly we believe in delivering true value to consumers with absolutely no compromise. Pulsar represents the best of those values. Compare for yourself.